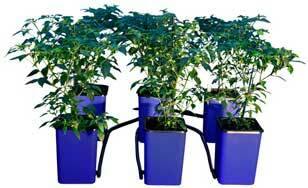 It’s high time you join the organic bandwagon and grow your own plants right inside your home. With a minimal amount of water you can grow healthful veggies, root crops and ornamental plants through hydroponics system or soil-less gardening. The plant depends on little water to survive and requires gravel or sand for the root to grow. Imagine that you can grow your own salad, including lettuce, cherry tomatoes and herbs without having to worry about the space; no messy soil to till and garden equipment to plant your seedlings or saplings. Now it’s possible even for those living in condos to put up their own organic garden. This entry was posted in Health and tagged organic garden, organic plant, organic salad hydroponics system on May 19, 2011 by Yami.